There are many parameters of water that require control and monitoring. Salinity, Ph, temperature, pressure, turbidity, dissolved oxygen are not the full list of data you need to know about water in the well. 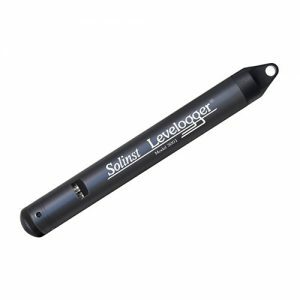 Modern multiparameter water quality sondes allow checking them all at once. They make water monitoring fast, comfortable and easy. Measuring temperature and conductivity in your well now involves only one hand-held tool that gives precise and quick result in real time. You just have to deepen the probe into the water and the data appears on the screen. All sensors are enclosed in one probe and work simultaneously. The conductivity sensors usually use the standard method, which involves four graphite electrodes in the open cell. It lets to avoid inaccuracy caused by air bubbles or contamination. The dregginess sinks to the bottom and bubbles go up, leaving the contacts clean. The conductance of water highly depends on the temperature, so both sensors work together and temperature compensation is employed in calculating the measurements. All calculations are made by built-in electronics and give highly reliable results. All models have reliable and accurate systems of self-control that gives you the timely and clear information about damages and problems with the way to solve them. The calibration of water quality meters is easy, requires the water with known parameters, and sometimes is made at the factory. To prevent the mudding of sensors there is a special brush included in the probe that cleans them all. In situation, when you need to know the information about your well in progress, water quality sondes can provide you with this data. Some models have system of long-time unmanned monitoring that gives the opportunity to record the measurements periodically during long time and save them on inner memory. You can offload this information to your PC or smartphone out of necessity, wirelessly or with the help of special contacts to your device (depends on particular model). The same function can be performed by some models of water level loggers that are designed to control and record the level of water in artificial and natural water reservoirs. For example, the brand Solinst includes in their probes conductivity and temperature sensors that give you required information. This way of monitoring helps you to register the most parameters with the help of one tool on continuous basis. 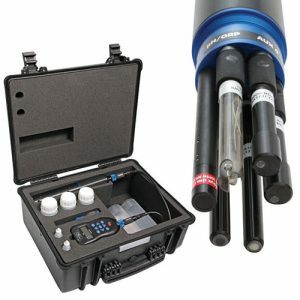 Water level loggers and water quality meters are critically necessary when monitoring and controlling the water quality in wells and tanks, groundwater and natural water reservoirs. Also it helps during water remediation, or controlling the parameters of drinking water at home.